Today I spent the morning updating the blog, counting days and kilometers to see what I can do once the bike is fixed, and I sent an email to Stephen Stallebrass, who did the same route as I am now considering. 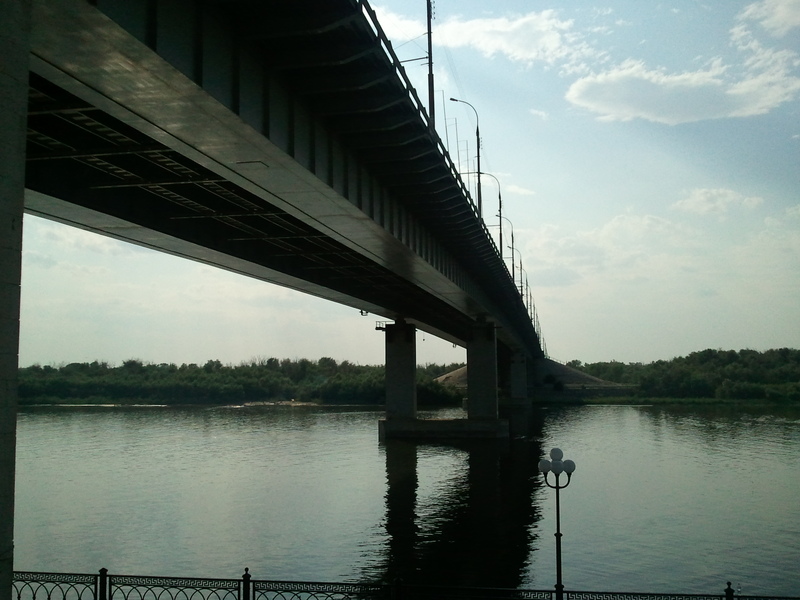 In the afternoon, Dasha, one of the CouchSurfers from the city took me for a swim in the Volga. We had arranged to meet at a bus stop by the big bridge that crosses the river through an island, which is where the beaches are, and I walked more than 6km in 40ºC heat to get there because I wanted to walk through the center rather than take a bus. The river beach would have been a nice place if it had not been for the fact that there were empty bottles and plastic wrappings everywhere, the Russians can not seem to be able to keep a place other than their own home clean, which is a pity, as it was quite a beautiful place. I went for a swim and then Dasha took out a henna pen and started to practice drawing a tattoo on her leg. She told me that she wanted to make some extra money that summer painting tattoos on people on the beach, and when she was done she asked if she could practice on my arm too, so I got a nice souvenir from Astrakhan. Back at the apartment I checked my mail and saw that Stephen had replied, with some advice about the route he took. I also tried to find information online to see if I can unlock my phone myself, which might be easier than trying to get some Russians at a phone shop to understand what I need. More news on that tomorrow. 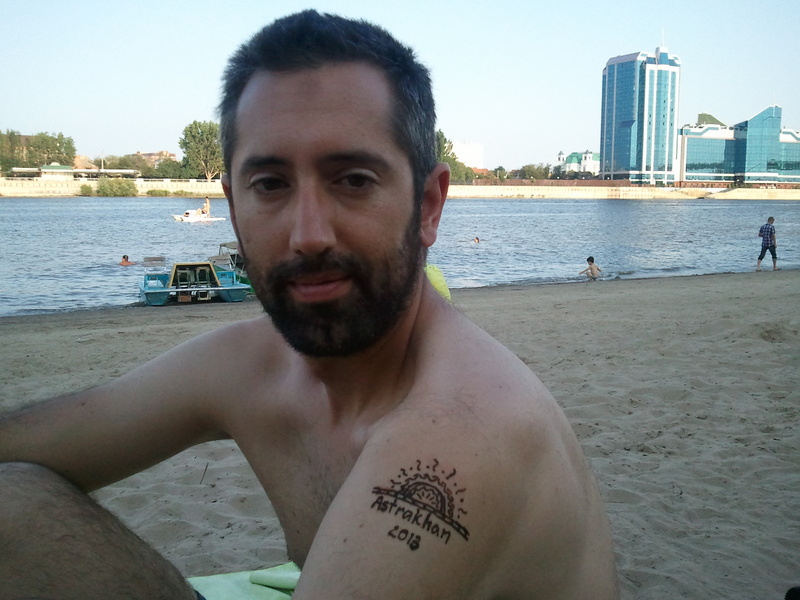 This entry was posted in Stroming The World 2013, Travel and tagged Astrakhan, beach, tattoo, Volga by Kilian. Bookmark the permalink.